Welcome to the ACM SIGGRAPH European Conference on Visual Media Production (CVMP). For the years, CVMP has built a reputation as the prime venue for researchers to meet with practitioners in the Creative Industries. CVMP brings together production and post-production specialists from the worlds of film, broadcast and games with imaging and graphics researchers; it brings together expertise in video processing, computer vision, computer graphics, animation and physical simulation. CVMP provides a European forum for presentation of the latest research and application advances, combined with keynote and invited talks on state-of-the-art industry practice. 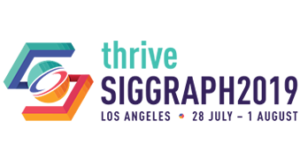 In this 15th edition of the conference, we are proud to be officially affiliated to and sponsored by ACM SIGGRAPH.